By Cotton Delo . Published on October 30, 2013. Ads in the news feed. It's an approach that worked extremely well for Facebook, turning the world's largest social network into a mobile powerhouse almost overnight. Facebook is betting the same approach will work for its image-and-video sharing network, Instagram, which unveiled its first ad format last week. News-feed ads are compelling to these companies because they can be slipped onto small mobile screens and be almost as unobtrusive in the flow of content as they are on desktop. But just because in-stream ads worked on Facebook doesn't mean they'll also work on Instagram, regardless of how artfully they are made. For one thing, the Instagram experience is more focused, forcing users' attention onto a single image perfectly framed by a smartphone screen before they can scroll past. Ads will be more conspicuous there, which is what's attractive to marketers but also potentially disruptive to users. Marketers like GE, Adidas, Macy's and Burberry were quick to recognize the value of Instagram's 150 million users and embraced its quirky aesthetic to create content that works there. Those companies will be among the first 10 to push out Instagram ads, and more are bound to follow once Instagram opens its doors to them. But just because the handful of beta testers know what they're doing on Instagram doesn't mean that the masses will be prepared. Users chose to follow based on their artistic appeal -- it's a different standard than Facebook, where users friend people and follow brands for a multitude of reasons. Being skilled at setting up display campaigns on Google AdSense or even Facebook won't necessarily translate on Instagram. "It's going to be hard because they're going to have to come up with visually resonant sponsored photos that work in that [Instagram] medium," said Jessica L'Esperance, VP-user experience at Huge. "My sense is that [Instagram is] a less receptive environment for a commercial intrusion," said Jeff Dachis, CEO of social analytics company Dachis Group. No one says they like advertising, but Instagram sure is getting an earful in response to its first house ad that hit user feeds this week. Two of the most recent comments read: "Yep gonna delete Instagram when this starts" and "@instagram don't do it, you will become boring and full of ads like fb.") A vocal minority, perhaps, given the more than 800,000 likes, but Facebook would be wise to listen. But there's another path – Instagram doesn't need ads to be successful. Actually, Instagram doesn't need to be directly monetized at all; it could just as easily deliver value by increasing engagement where Facebook already makes money: the Facebook news feed. Engagement with Instagram photos yields more time spent on Facebook, and from there, more dollars into Facebook's well-oiled machine. 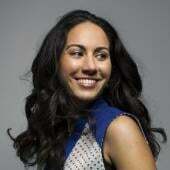 "Facebook really can benefit from the incremental network effect of [Instagram]. They don't need to do anything with it, much like Twitter doesn't need to do much with Vine," Mr. Dachis said. In contrast to the early days of Beacon and other privacy debacles, Facebook is now exercising extreme caution with new ad units. It took a year to figure out mobile and Facebook is still delaying the launch of video ads due to user experience concerns. You have to wonder if Facebook is taking the same caution vis-à-vis its decision to launch Instagram ads with a beta group that's made up exclusively of marketers who are already good at publishing on the app. There's also a review process in place where every ad will be evaluated before being eligible to be put in front of users, a Facebook spokesman said. But why take any risk at all? Well, there's pretty big market there, if it works. Deutsche Bank analyst Ross Sandler projected that Instagram's worldwide revenue would be $475 million next year, while a more conservative prediction from Aaron Kessler at Raymond James put it at $178 million. Pressure to grow revenue quickly could make it more difficult for Instagram to maintain the high quality bar for content it's currently imposing on marketers. Placing ads in-feed means soliciting ads that users might see anyway. 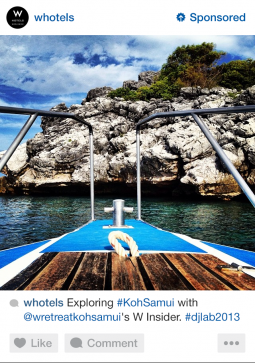 Take a recent image posted by W Hotels -- part of new Instagram ad client Starwood's portfolio -- that shows the prow of a boat over aquamarine water and feels like the equivalent of a picture a friend would post from vacation. That's easier said than done, especially at scale, but Adam Kleinberg, CEO of digital agency Traction, thinks Facebook can find the balance with Instagram. "The [Instagram] interaction is all about flipping through a large volume of visual content," he said. "As long as they don't overdo it, I think that people will be really inured to ads in their feed."